WOOLSINGTON dad of two, Martin Cowell is set to complete a challenge of a lifetime to mark his 40th birthday by cycling unsupported from John O'Groats to Land’s End in aid of the North East Children’s Charity Heel & Toe. Starting on Friday June 28 2013, Martin aims to complete his gruelling journey in just eight days, finishing in time to celebrate his 40th birthday. 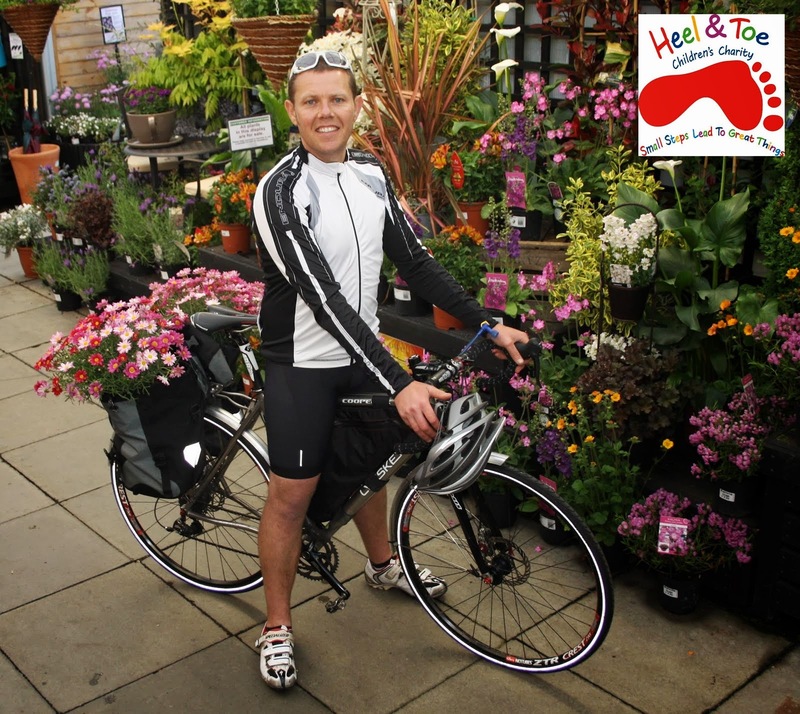 Martin, who works for his family-run business Cowell’s Garden Centre, aims to raise £5,000 by completing the End 2 End cycle challenge for the Heel & Toe Children’s Charity. The Durham-based organisation provides free conductive education to children suffering from Cerebral Palsy and other physical disabilities, and is a cause close to Martin’s heart after seeing how his daughter Macey, 10, has benefitted from its work. Martin said: “As a family we have witnessed first-hand the fantastic work that Heel & Toe do to support children throughout the region. I wanted to do something really special to mark my 40th birthday and I couldn’t think of a better way to give back to the organisation which has made such a difference to my daughter’s life. “I know this isn’t going to be easy - to start at one end of the UK and get to the other end in only eight days is quite a challenge, especially when most riders take around 14 days and that’s with support. But I’m confident I’ll succeed and I’ll just have to keep reminding myself why I’m doing it – Heel & Toe is a truly marvellous charity. By visiting Heel & Toe’s weekly group sessions Macey’s confidence has grown dramatically as she has receives support with everyday practical skills which has helped to improve her interaction with others, coordination and balance. 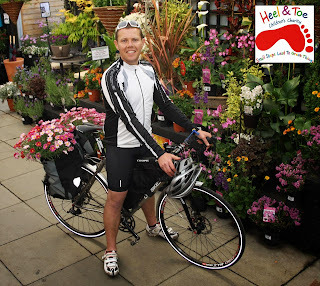 Martin, who also has an eight-year-old son Finley, began his training in November 2012 and has currently cycled 3 back-to-back 120 miles in final preparation for his challenge. He has set up a blog to log all of his training efforts which will be used throughout the eight day ride to track his progress. To support Martin’s End 2 End cycle challenge in aid of Heel & Toe Children’s Charity, donations should be registered via his Just Giving page www.justgiving.com/GeordieJogle or TEXT - DAFT50 £5 to 70070.